You love your precious jewelry brought from the Best Jewellery Shop in Mumbai. That is the reason you spend a fortune to grab the best and the most beautiful items in the jewelry box. The blog tells you about some useful and easy tips. Always keep the jewelry in a box: Famous Gold Jewellers in Mumbai give boxes not just to promote their shop, but to keep the jewelry safe. The expensive jewelry remains unaffected by external conditions. If you don’t have a box, then a zip lock bag can also be used. Always keep it between cotton buds so that the expensive items remain safe from scratches. Clean the jewelry before you store it: When you wear the gold, silver or diamond jewelry, they get into contact with sweat. You must wipe it off before storing back into the boxes. Use a piece of cotton or soft cloth and gently rub the stuff. Don’t forget to store each item in a separate box. Keep the items safe from harsh chemicals: It is an important thing. The delicate jewelry made from gold, silver or diamond is very much sensitive to chemicals. The damage caused by the chemicals can be permanent sometimes. For example, the chemicals present in the pool water take away the shine of a necklace or earrings. Avoid an excessive change of temperature or light: sudden change in temperatures or brightness can cause harm to the delicate surface of expensive jewelry. Some gems lose their brightness whereas some get darken due to excessive light. Sign a maintenance contract: Nowadays, there is a trend of signing a maintenance contract for expensive items. When you spend a few hundred thousand bucks in buying an exclusive piece made from the most beautiful gems and diamonds, it is worth paying a small amount on its maintenance. Diamonds are forever, provided you maintain them well. 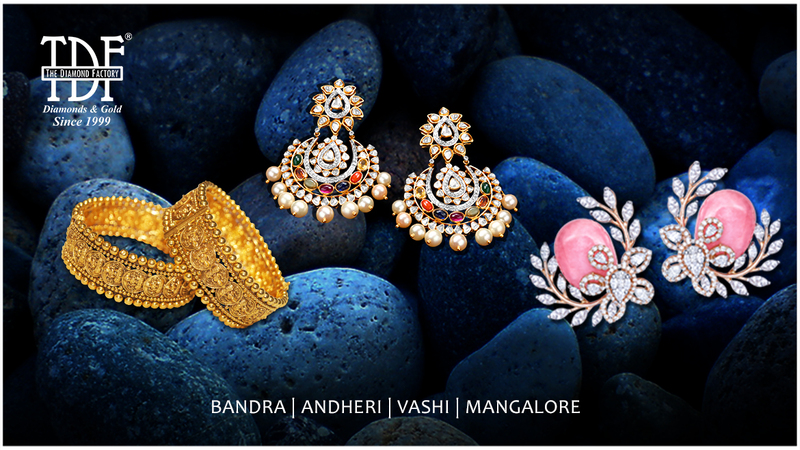 Yes, these eye-catching glittering pieces need extra attention when you buy them from the renowned and Best Jewellery Shop in Mumbai. Diamonds repel water but get affected by oil and grease. Not only the shine goes away, but there is a risk of loosening of prangs. It may result in falling of a precious diamond. Never use harsh chemicals to clean diamonds. The best way is to soak it in a mild soap and water solution overnight. Wipe the jewelry well using a soft cotton cloth and brush off gently. Wrap it in soft tissues before storing. You buy exclusive gold items from Famous Gold Jewellers in Mumbai. How to keep them shining always? Here are some tips. Check the gold jewelry every six to 12 months. Thus, you know where it needs any maintenance. If at all it is needed, then you can get it done in time. A piece of microfiber polishing cloth (the one you get to clean the spectacles) is the best alternative to aggressive cleaning methods. Just polish your gold rings, pendants, earrings or nose pins using a polishing cloth and get the gleam back. Store the gold jewelry in specially created boxes. Make sure you use a vanity box or case that has individual slots for bracelets, necklaces, rings, and earrings, etc. Uncut jadau stuff is more delicate. Hence, it needs special care. Always store uncut jadau jewelry in plastic boxes wrapped in cotton or sponge. It is very much sensitive to chemicals. Do not spray perfumes or deodorant spray on the uncut jadau stuff. Avoid the exposure of excessive heat and dust. It is essential to keep these expensive items safe so that they retain the charm and beauty forever.